For NGOs we provide a cloud-based service where we run our machine learning algorithms to remotely detect the malicious behaviours of infected computers in the NGO’s network. The organisations should only install a small software on their networks to send the flows to analyse. These flows only contain metadata and are highly protected by the Czech Technical University in Prague by signing Non Disclosure Agreements (NDA). 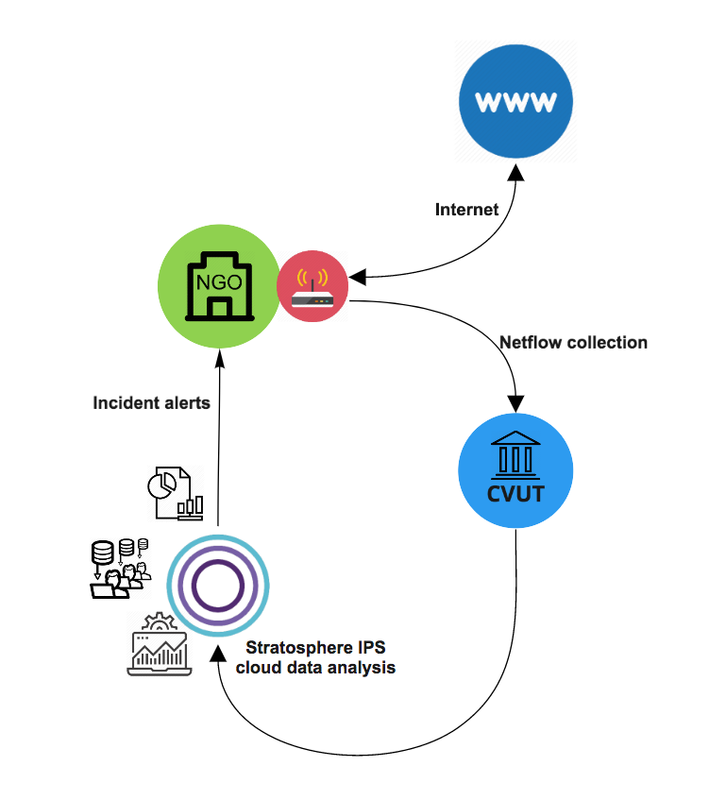 We work with NGOs and small civil organisations to automatically detect threats in their network via the collection and analysis of netflows. Netflows is a way of aggregating network traffic for analysis and monitoring purposes without storing at any moment user data. NGOs can send the network flows from organizations and apply the most advanced detection algorithms using Stratosphere. These flows only contain metadata and are highly protected by the University by signing an NDA. The organizations should only install a small software on their networks to send the flows to analyze.